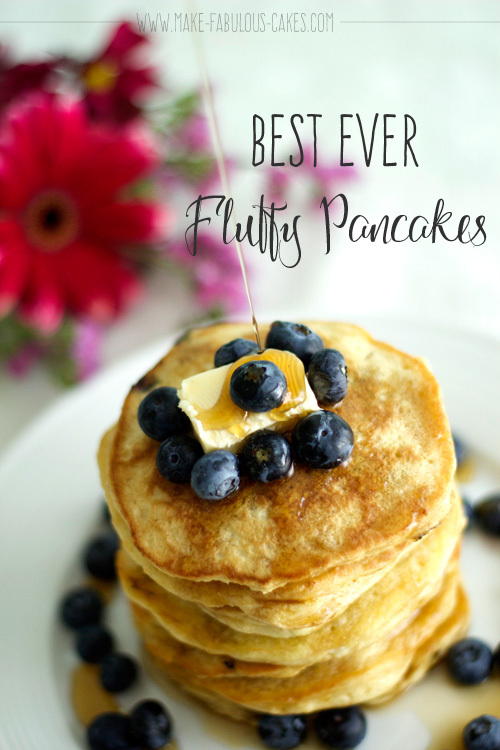 In celebration of Pancake Day, I am sharing with you the best ever fluffiest pancakes in the whole wide world, like ever bestest ever. Whoa, was that even a proper sentence? Yup, I might sound just a bit delirious because this pancake does that me. As a self professed pancake lover, I have tried lots of pancake recipes and yet I still go back to this one, because..sbecause… refer to the first sentence of this post. It’s just the best one. Ever. Ok, this pancake recipe is a bit involved because you have to whip the eggwhites separately before carefully folding it in the rest of the batter. But this extra step makes it all worthwhile. Remember fluffy? This is how we do it. And yogourt might seem a bit unusual ingredient to add to a pancake but it makes the pancake extra moist. BUT there are plenty of times that I did not have any yogourt and I just replaced it with milk, sour cream or buttermilk depending on what I have on hand at that time. And I have also done gluten free versions of this recipe; I just replace the regular flour with a readymade gluten free flour. 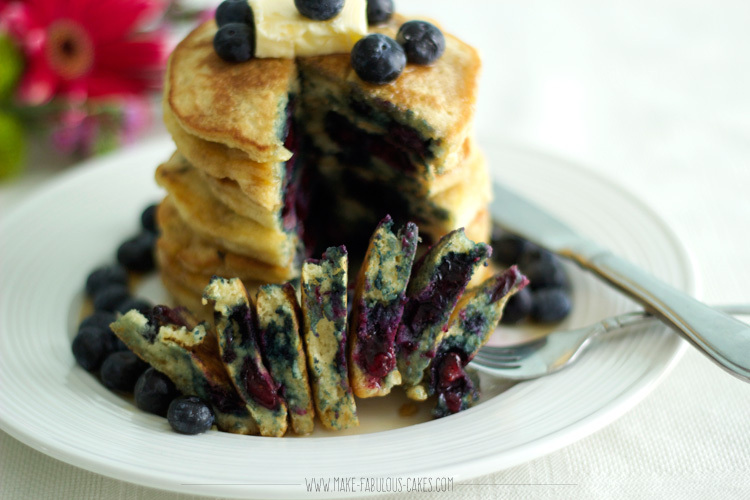 My favorite version is with blueberries inside the pancake like pictured here but it is totally optional. My son’s favorite is plain with Nutella on top. My daughter eats it just plain, no syrup, just pancakes. But this pancake is totally perfect on its own. Heat pan and melt the 3 tbsp of butter. When butter has melted, turn off the heat. In a measuring cup, stir together the yogourt, milk and eggyolks. Mix the yogourt mixture with the flour mixture just until incorporated. Add in the melted butter and mix a bit more. Mixture will be a bit lumpy. Do not overmix. In a smaller bowl, beat the eggwhites until stiff peaks form. Gently fold this into the batter. Heat the pan again over medium low heat. Take the ½ cup measure of the batter and pour on the pan. Batter will be thick, so help spread it out with the measuring cup or the back of a spoon. 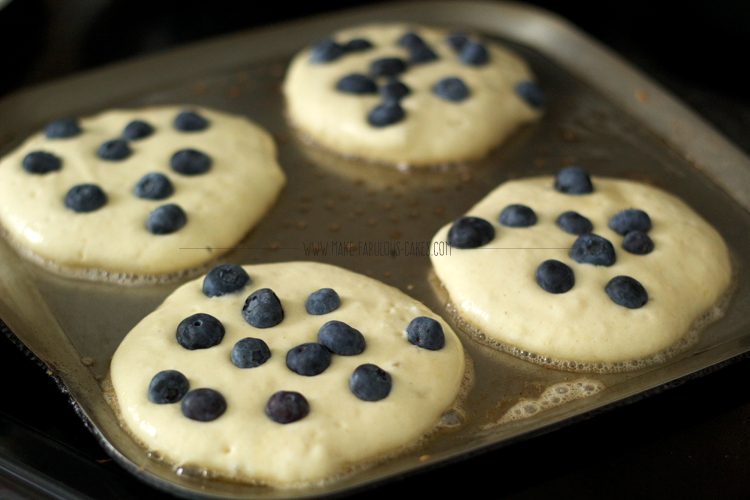 Add some blueberries on the pancake (optional) and with the back of the spoon, cover the blueberries lightly with some batter. This will prevent the blueberries from burning when flipped. Cook until golden on the bottom then flip over and cook the other side until golden as well. Use more butter on the pan if needed when cooking more pancakes. 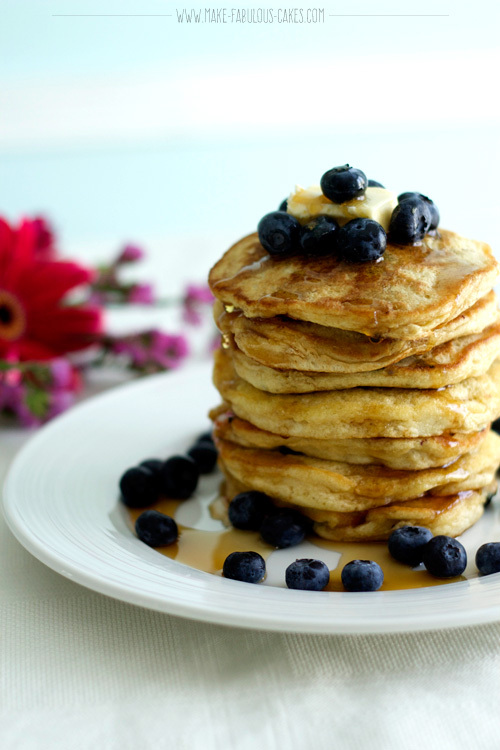 Serve pancakes with more butter, fruits and syrup. Makes about 10 large fluffy pancakes. Everyday can be pancake day, so enjoy!